My name is Mania Bikof, I am a dedicated athlete, wife and mother of 4 young kids I have been working with migrants and refugees who try to make the passage from Turkey to Greece and often lose their lives in the crossing. In an attempt to promote #safepassage for.. refugees, I am asking, for your support in order to fund the expenses of three ironman races and in order to offer swimming lessons to refugee kids in Lesvos. I was a water polo player, I am an international lifeguard instructor and a volunteer lifeguard, I am a marathon runner, an open water long distance swimmer and the last 3 years I am a triathlete. All my life I am into sports, daily training is my reset button. 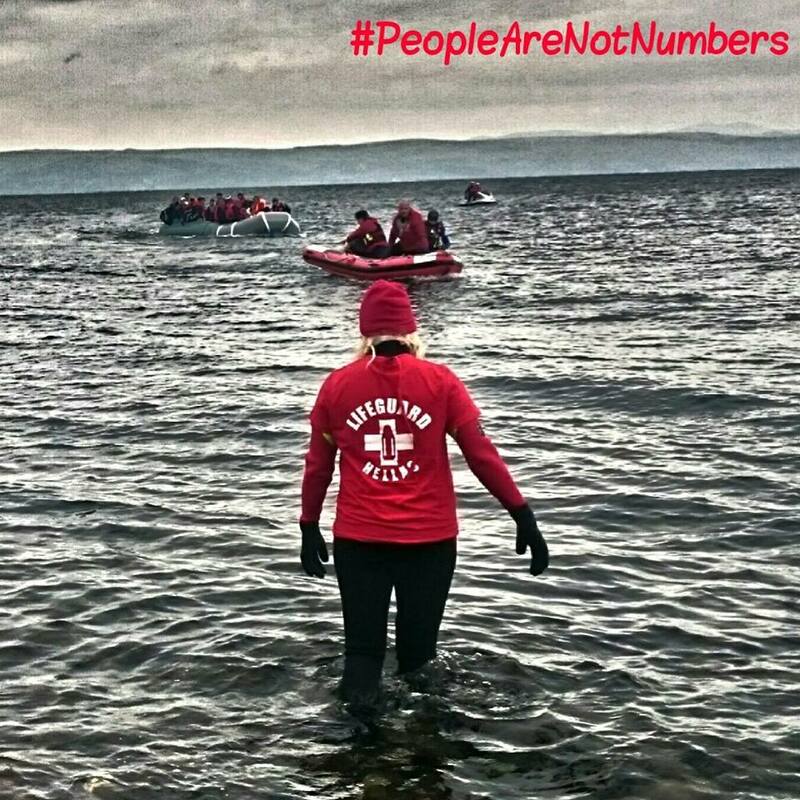 Since 7th of November 2015 our lifeguard hellas volunteer team and me personally we are based in Lesvos island and we are dedicate to save and rescue all the people that fleeing from the war and they had to make the desperate trip from Turkey to Greece into a dinghy or a wooden boat by crossing the aegean sea. The last months our team with our 24/7 lifeguard station,rescue boats and jet ski,help more than 12500 people to land safe, also we were involved in many rescue procedures after boat capsized with victims.Since last September, when the tragic death of toddler Aylan Kurdi captured the world's attention, more than 340 children, many of them babies and toddlers, have drowned in the eastern Mediterranean. The total number of children who have died may be even greater, the sister organisations said, with their bodies lost at sea and never recovered. With children now accounting for 36 per cent of those on the move, the chance of them drowning on the Aegean Sea crossing from Turkey to Greece has grown proportionately. During the first six weeks of 2016, 410 people drowned out of the 80,000 people crossing the eastern Mediterranean. This amounts to a 35-fold increase year-on-year from 2015. These tragic deaths in the Mediterranean are unbearable and must stop. #SAFEPASSAGE is what we ask. No more tragic deaths, no more victims. As an ambassador of #safepassage I will try to finish 3 ironman distance races( 3,8klm swim - 180klm bike - 42,2klm run) in the next months, starting with IM Switzerland in 24 of July Swisscross.help and Lifeguard Hellas are my main supporters, both teams are giving daily their best for the good for refugees. I will try to spread the message of #safepassage by overcoming my limits. Thank you for being next to me! Καλή αρχή και καλή δύναμη !